An easy-to-follow Nikon D5600 photography class—in a book! Your Nikon D5600 is a powerful tool equipped to take top-notch photos. But unless you know how to use it to its full potential, your professional-grade camera will produce underwhelming amateur-grade photos. And that's where Nikon D5600 For Dummies comes in! Packed with all the expert tips and tricks you need to get your Nikon to live up to its name, this guide shows you how to use it to get truly striking shots—in a flash. Written by an expert on all things Nikon—and brimming with inspiring full-color photos—the step-by-step instruction offered inside arms shutterbugs of all skill levels with the know-how to turn any scene into a beautiful work of art. Whether you're looking to capture a cozy low-light shot or forever memorialize an awesome action scene, Nikon D5600 For Dummies will take your photography skills to picturesque new heights. Discover all your camera's features and capabilities Get better photos in auto or manual mode Adjust focus on the fly Start speaking photography lingo like a pro Even Leonardo da Vinci had to learn to work with paints and brushes before he could create the Mona Lisa. 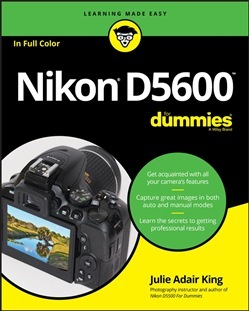 Before you let your frustration get the best of you, take heed in the friendly guidance in Nikon D5600 For Dummies. 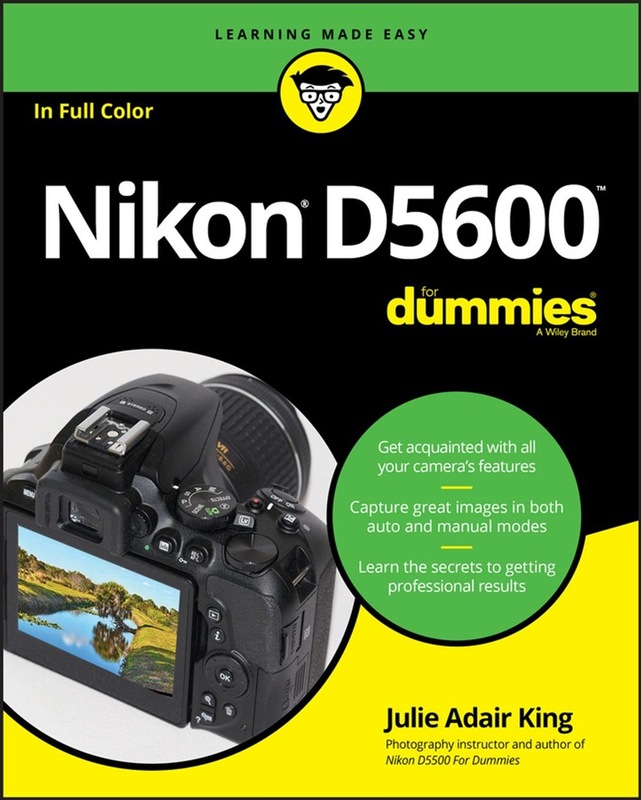 Acquista Nikon D5600 For Dummies in Epub: dopo aver letto l’ebook Nikon D5600 For Dummies di Julie Adair King ti invitiamo a lasciarci una Recensione qui sotto: sarà utile agli utenti che non abbiano ancora letto questo libro e che vogliano avere delle opinioni altrui. L’opinione su di un libro è molto soggettiva e per questo leggere eventuali recensioni negative non ci dovrà frenare dall’acquisto, anzi dovrà spingerci ad acquistare il libro in fretta per poter dire la nostra ed eventualmente smentire quanto commentato da altri, contribuendo ad arricchire più possibile i commenti e dare sempre più spunti di confronto al pubblico online.